The development of frogs from spawn and tadpoles has long been a favourite topic in biology classrooms, but why would universities go to the trouble of buying models to teach this well-known process? LDUCZ-W504 Rana temporaria. 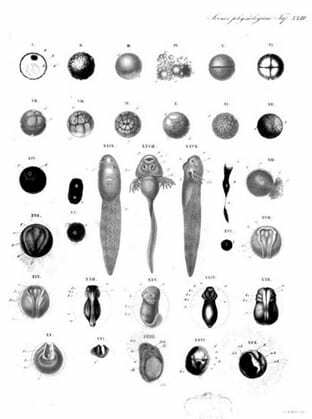 This series from 1852 shows the development of frog embryos to tadpoles, magnified 16 times, made by the Ziegler Studio in Germany. I think that the answer is about teaching students to observe in a properly scientific way. As a step-by-step series, we can think of these models as imposing milestones, or highlighting the conceptually important steps, on (what is in life) a continuous process of development. Thus they give us (and the students that used them) a new way of seeing a familiar process in a new – and more scientific – way. 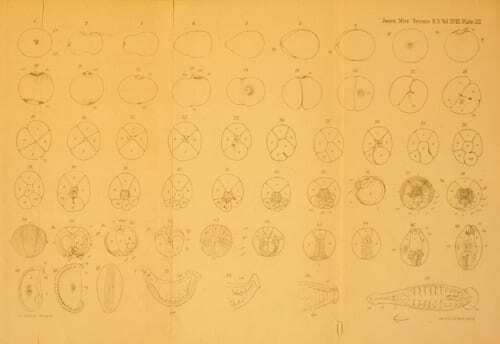 These tadpole models (just) predate widespread interest in evolutionary thought. While they show growth and development, they don’t use development as a vehicle to demonstrate evolutionary ideas. By contrast, the slightly later series of models of the leech Hemiclepsis marginata are meant to teach us about development so that we can understand evolution. 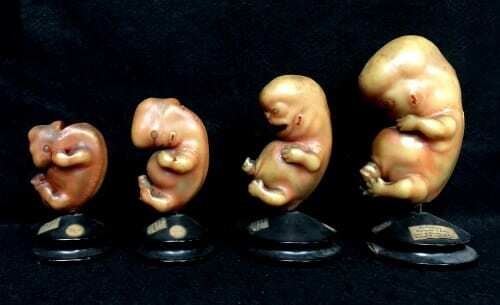 Made in Leipzig at the Institute for Scientific Wax Image Molding around 1880 by Rudolf Weisker, they are based on a series of drawings of leech development by Charles Otis Whitman. 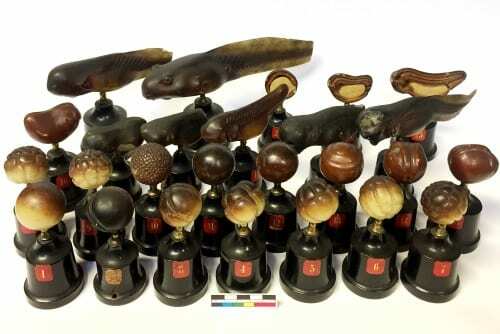 Leeches like these, which are occasionally found in British ponds and streams, might seem peripheral to zoology as a whole (why bother going to the trouble of making – and buying – detailed models of such a mundane creature?). 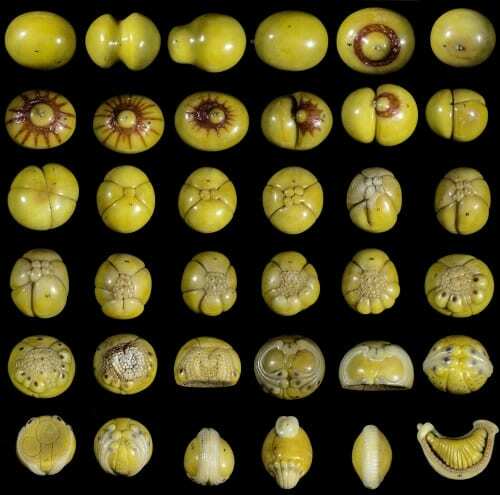 But models such as this series were used by early evolutionists to defend the idea of common ancestry that was a vital part of evolutionary thought. Here, the specific details of leech development don’t matter as much as the comparison with the development of other animals. Whitman’s work on the leech is spun through with such comparisons. Trying to understand how the development of one ordinary animal stood in relation to the development of animals as a whole became a central part of the grand evolutionary project. The Museum of Ordinary Animals runs until 22nd December. A number of events accompany the exhibition: through discussions, a late opening, a comedy night and offsite events discover how boring beasts shape our relationship with the natural world. Full details are on the exhibition’s website. Brendan Clarke is Lecturer in History and Philosophy of Medicine at UCL, and contributed to the Museum of Ordinary Animals.